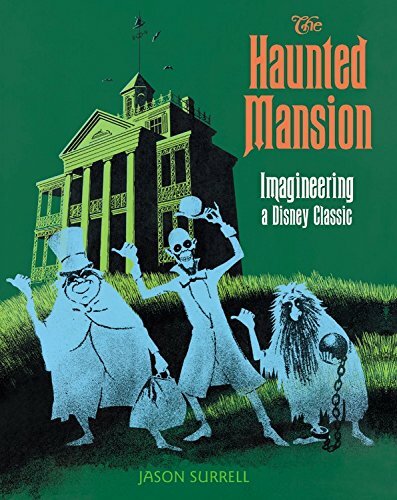 The Haunted Mansion is one of the most popular and beloved attractions in Disney theme park history, and can be found in each Magic Kingdom Park around the globe.This newly updated book brings the Mansion's inhabitants to an afterlife like never before. Magic Kingdom's Haunted Mansion illustrates how the Mansion's 999 "grim grinning ghosts" moved from sketches to reality, evolving from earliest story concepts through adaptations and changes as it moved into each of the parks, to the very latest ideas for show enhancements.This book also confirms and dispels the various myths and rumors that have surrounded the mysterious Mansion since its opening. And now new history has been added as the attraction continues to evolve.In this third edition, there are even more details and artwork depicting the Imagineering of the attractions in California and Florida, as well as the corresponding Haunted Mansion attractions in Tokyo, Paris, and Hong Kong.